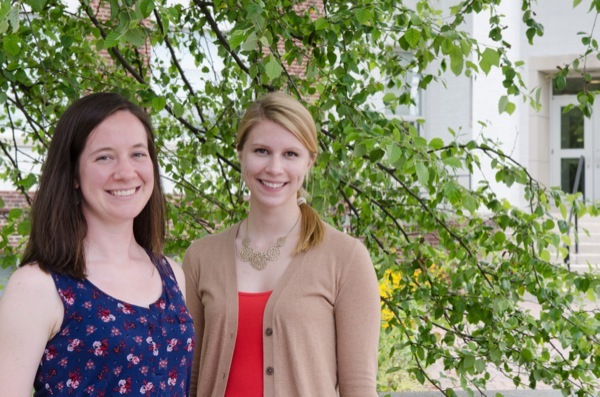 The University of Delaware’s College of Agriculture and Natural Resources (CANR) has announced that the winners of the 2014 William J. Benton Graduate Student Awards are Rebecca Kern and Allison Rogers. The awards were established in honor of William J. Benton, former CANR associate dean of research and professor in the Department of Animal and Food Sciences (ANFS). Rebecca Kern Kern is currently pursuing her doctorate in wildlife ecology with her research focusing on the demographics and conservation of saltmarsh and seaside sparrows. 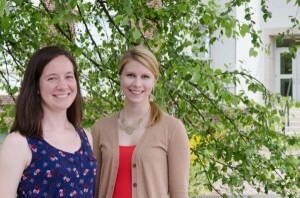 She has been working under the supervision of Greg Shriver, associate professor in the Department of Entomology and Wildlife Ecology (ENWC), for the past six years, earning her master’s degree at UD before continuing on with her doctoral studies. “My dissertation research is part of the Saltmarsh Habitat and Avian Research Program (SHARP), a collaboration between seven universities, non-profit groups and state agencies to better understand endemic tidal marsh bird distribution and productivity in the northeastern U.S., as well as improve tidal marsh bird conservation,” said Kern, who added that being part of such a large, collaborative effort has been an extremely beneficial experience. Speaking on her research specifically, Kern said, “My research compares the reproductive success of saltmarsh and seaside sparrows, which is crucial knowledge for conservation. It also examines how the species interact with each other and how they’ve adapted to the marsh environment.” Kern said that Shriver and Jacob Bowman, chair and professor of ENWC, have had a positive impact on her experience as a graduate student while at UD. Kern said that Bowman has been instrumental in helping her “approach ecological questions from a rigorous quantitative and statistical viewpoint. He’s taught me the importance of developing both observational and field work skills, as well as analytical abilities.” She said that working with Shriver has taught her “the importance of seeing the big picture, working for conservation at the landscape level and seeking out productive collaborations. He’s helped me become a more well-rounded and passionate ecologist in many areas – from teaching to field research.” Kern added that receiving the Benton Award was a “a real surprise and a great honor.” Allison Rogers Rogers received her master’s degree from ANFS in May. She said that receiving the Benton Award “feels amazing. It’s really wonderful to be recognized for working hard for your lab group and really just trying to advance the subject that I was working in, which was the impact of the environment on poultry health and growth.” During her time at UD, Rogers conducted research on the effect of alternative lighting technologies on broiler chicken growth and welfare in terms of stress. Rogers and her group looked at how newer, more energy-efficient lighting technologies — such as light-emitting diode (LED) lights or cold-cathode fluorescent lamps (CCFL) — impacted broiler chickens. “The industry standard is incandescent lights and so with broiler producers wanting to implement a higher efficiency light, they wanted to see if there were any adverse effects. We monitored the birds’ growth as well as their stress by measuring different white blood cell counts within their bloodstream throughout the course of the study,” said Rogers. Rogers said it turned out that the birds seemed to do best under incandescent lights but also did very well under LED technologies. The group’s next step will be to investigate why they saw the changes in growth and chronic stress in the birds under different lighting technologies. As far as singling out individuals to thank, Rogers said that it was difficult, as the entire department has been instrumental in helping her during her six years — four as an undergraduate and two as a master’s degree student — at UD. “I’ve found there have been so many people in the department that you can just walk up to and ask questions,” Rogers said. “I’ve talked to almost the whole department. It has been awesome to get to know everyone on a different level as a graduate student than I got to as an undergrad, and I’ve really loved it. It’s been a lot of fun.” In particular, Rogers singled out Eric Benson, Bob Alphin, Erin Brannick, Carl Schmidt, Robert Dyer, Marlene Emara, Mark Parcells and Behnam Abasht as faculty in ANFS who have helped her along the way. Article by Adam Thomas Photo by Danielle Quigley This article can also be viewed on UDaily.